It’s time for our biggest fundraiser of the year – Swim-a-thon! Our swim-a-thon will take place on Wednesday, March 19 from 3:30 – 5:30 pm at Elevation Place. 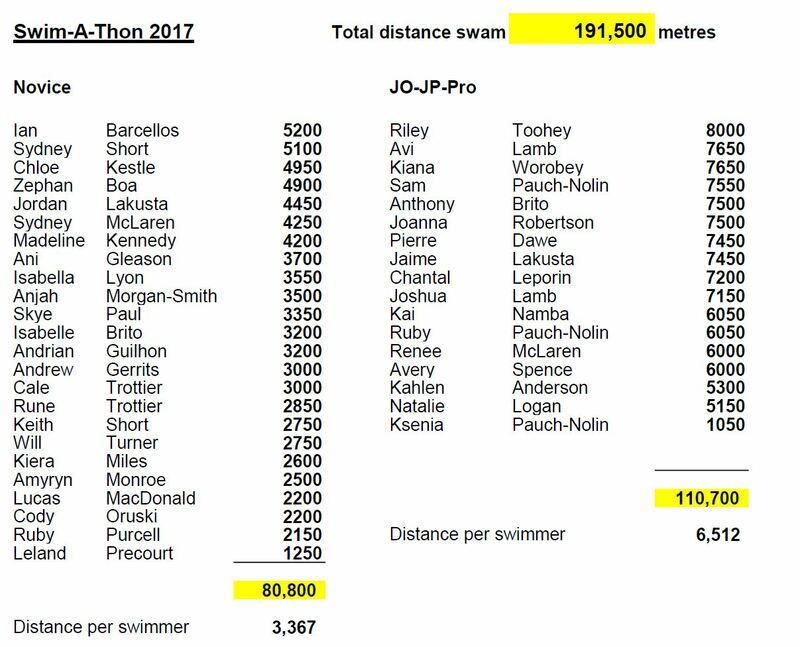 Targets are 50 lengths of the pool for novice and 200 for JO, JP & Provincials. Parents will be counting laps and we will have pizza, drinks and treats afterwards. This year is different as it is the first year everything will be done online. Please go our Swim-a-thon website and register your swimmer. http://www.albertaswimathon.ca/rip. Follow the steps and create a profile. You can add goals and pictures if you wish. Parents can then send the link to their swimmer’s donor page to family and friends through email or social media. 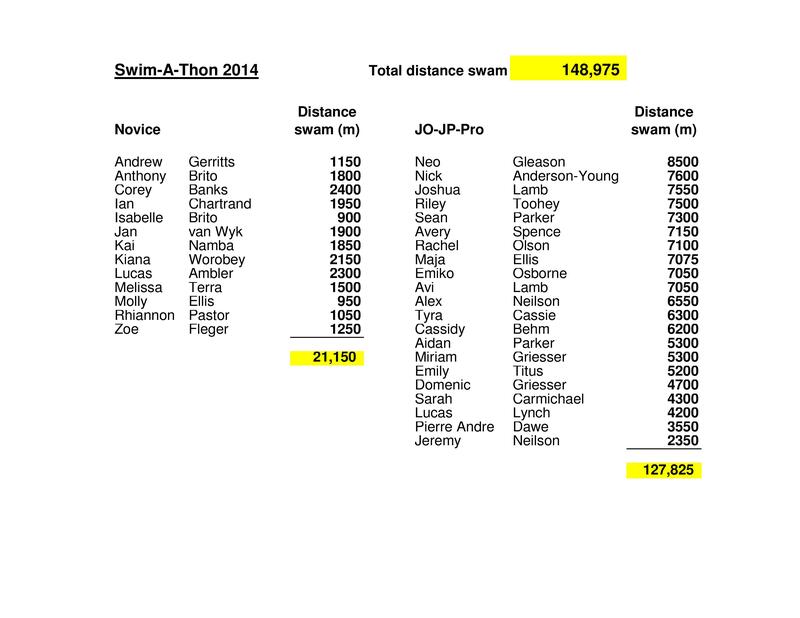 The final numbers from our Swim-a-thon have been tallied. 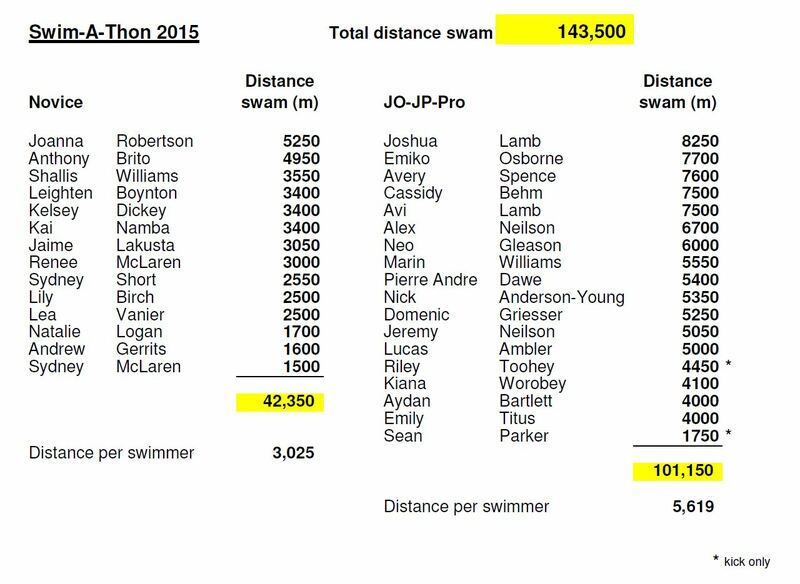 Our club swam a total of 130,050 metres or 130 km in 2 hours! The final tally of pledges raised for our Swim-a-thon was $8,985. This is an incredible $3,100 more than last year, but short of our goal of $10,000. 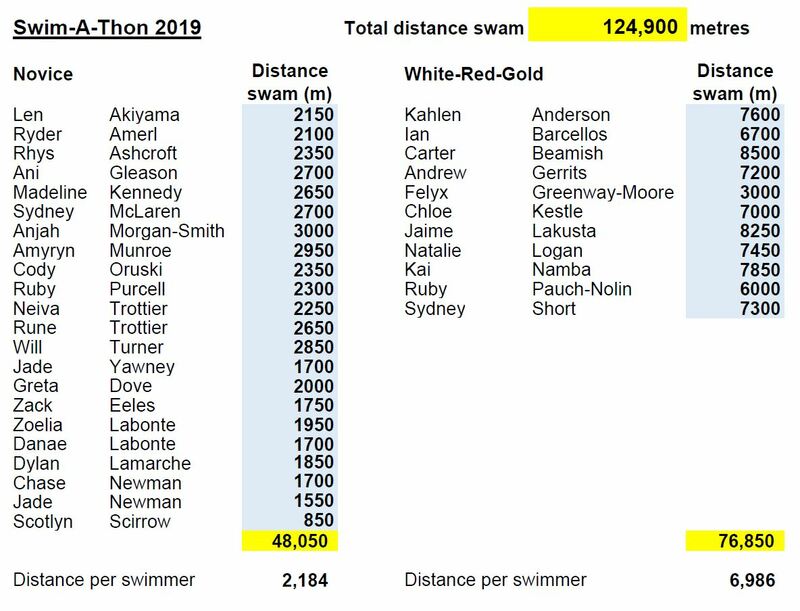 Swimmers that raised the most money were Avery Spence, Emiko Osbourne, Emily Titus, Sam Paley, Josh and Avi Lamb, and Aydan Bartlett. Lucas Ambler collected the most among novice swimmers. Riptides that swam the most distance were Sean Parker, Avery Spence, Neo Gleason and Aidan Parker, who all swam 7 km! In the novice group the top swimmers were Katy Carmichael and Jan van Wyk. 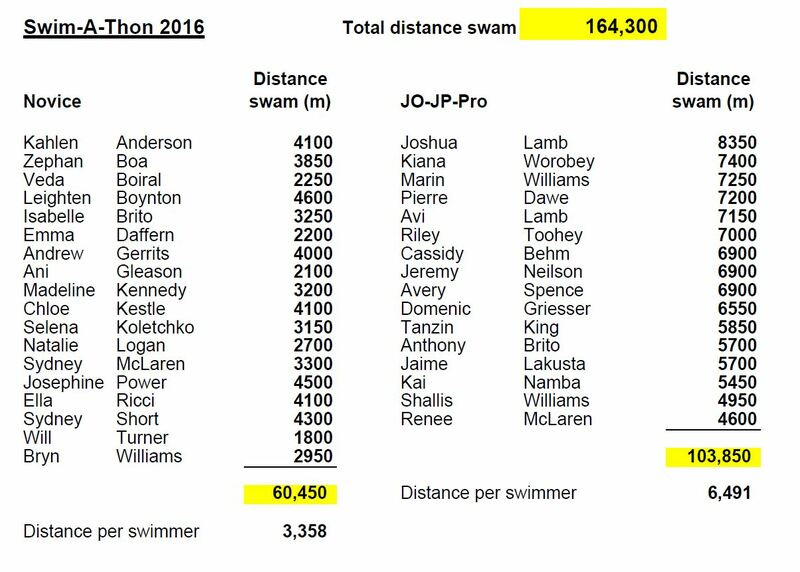 Thanks to all who sponsored our swimmers! All funds raised go directly to support our club.